Expect thrills, excitement and an abundance of fun during a sensational Las Vegas holiday at the MGM Grand Hotel and Casino. This phenomenal venue features an array of superb facilities, fabulous accommodation and a variety of cool bars and tempting restaurants. What’s more, the famous Las Vegas strip is right on your doorstep with even more amazing attractions, shows and casinos to experience during the holiday of a lifetime in this spectacular city. The MGM Grand is located on the Strip and is surrounded by shops, bars and restaurants. 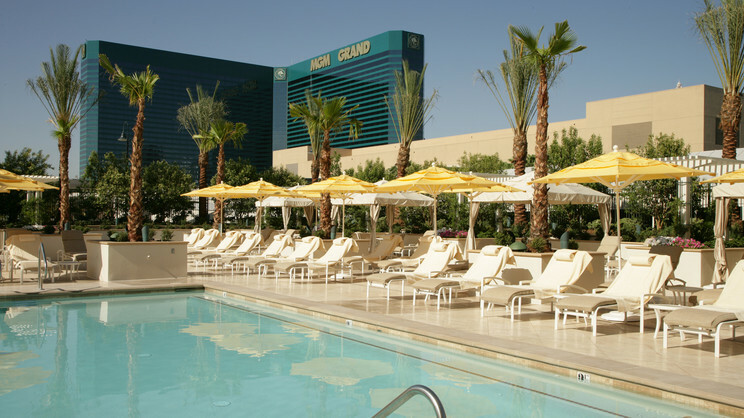 McCarran International Airport is approximately 2km away from the MGM Grand.